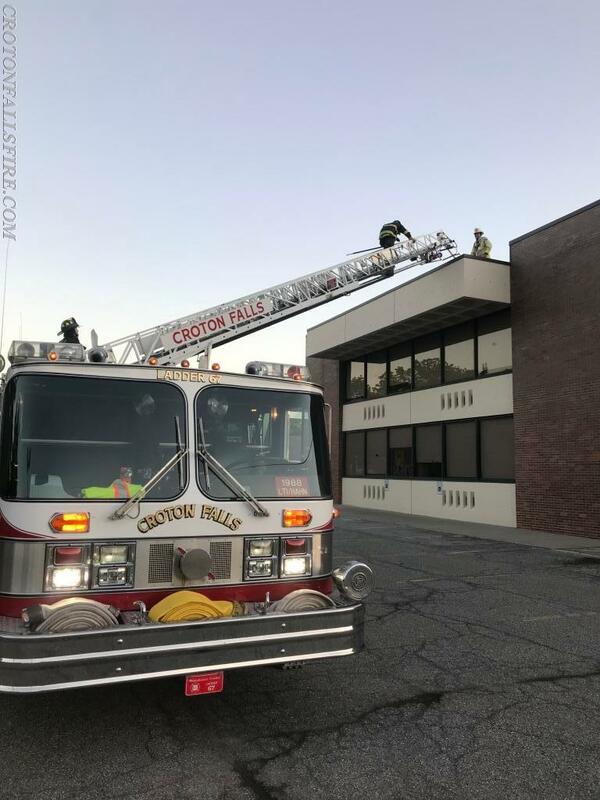 At the Department's weekly drill on Monday, July 9, 2018, firefighters focused on ladder company operations. 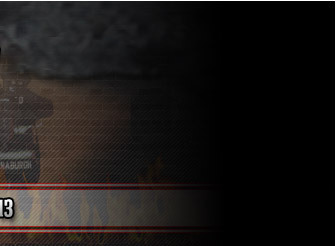 Firefighters use a combination of truck company operations and engine company operations to extinguish fires in a coordinated manner. 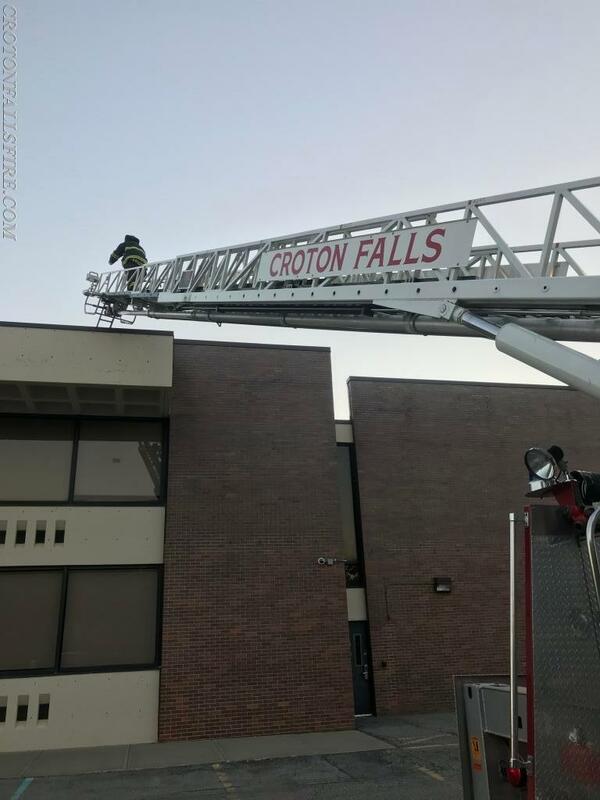 Ladder 67's aerial ladder was raised to the roof of the North Salem High/Middle School and portable ground ladders from Ladder 67 and Engine 148 were used for other scenarios. 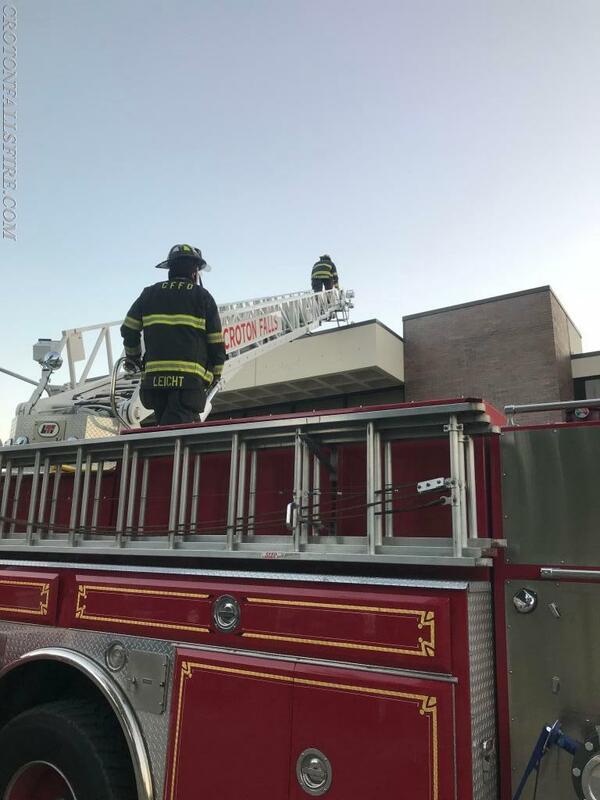 The placement of ladders for various purposes as well as safe operations were discussed and practiced. 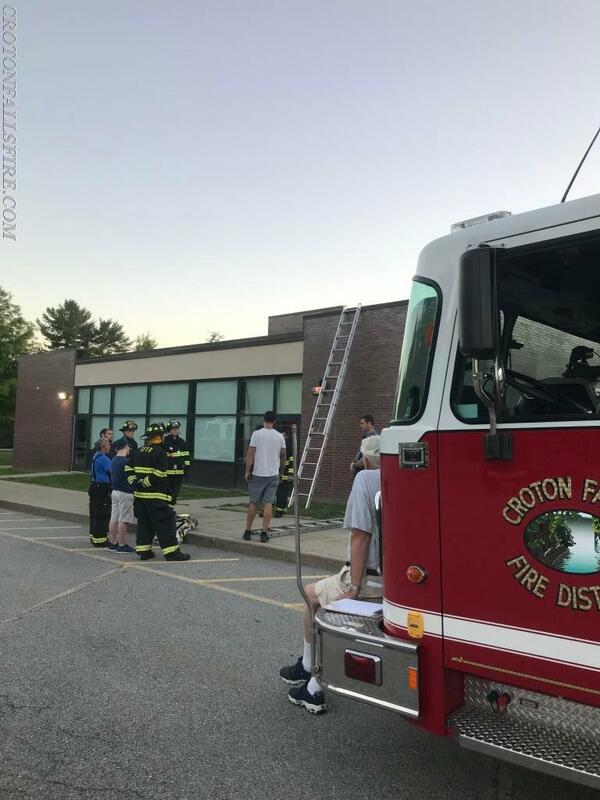 Firefighters also became familiar with tool safety while operating on the ladders and transitioning onto a roof or into a structure through a window.